Flanked by Mayor Bloomberg and Governor Paterson. Photo courtesy of the NY Times. Richard Ravitch is one of those legendary public intellectuals from a bygone era who leaves you at the end of a television interview muttering to yourself about the shallowness of other news coverage. His most famous accomplishment, for which all New Yorkers should be grateful, is saving the MTA from complete collapse during the early 1980s. Ravitch also helped stabilize New York City’s finances during its 1970s crisis, served as Lieutenant Governor during a political circus from 2009-2010 and has had his hands on a variety of real estate projects that dot the City skyline. He’s been banging the drum of a looming local fiscal crisis for years, but most of the world tuned it out as Great Recession-inspired hyperbole. Ravitch’s lifelong candor and behind-the-scenes access made So Much To Do an attractive memoir to check out. I’m a novice book reviewer, and this one wound up far longer than your New York Times Sunday inserts. The review tackles themes chronologically, wending its way through most of Ravitch’s greatest hits. So Much To Do is slipping out of Amazon’s top 604,000, and for some readers, this might be the closest they get to the real thing. A memoir of this gravitas deserves the airing of its ideas, and I have erred on the side of thoroughness. When you have so much to do, you don’t waste a lot of time. Ravitch’s memoir mercifully dispatches with childhood in four pages, and jumps right into a formative conversation in which Tammany boss Denny Mahon discouraged him from organizing new voters for the 1952 presidential election because “too many Democrats might vote in the 1953 primary.” This timeless anecdote is something organizers all over the country encounter when dealing with political machine hacks. When I first moved to Williamsburg, for example, I contacted Vito Lopez’s organization about getting involved in helping the neighborhood. (This was several years before major scandals hit the news and reformers mobilized against him.) His contact grilled me with questions about my motives and never followed up with me. Pols like their controlled, insular worlds. While at the Moreland Commission I was struck by how much the operation of the state government and legislature was designed to tune people out and keep interest in state politics low. Every Assemblymember knows how to get 3000 votes – why risk expanding the pool? 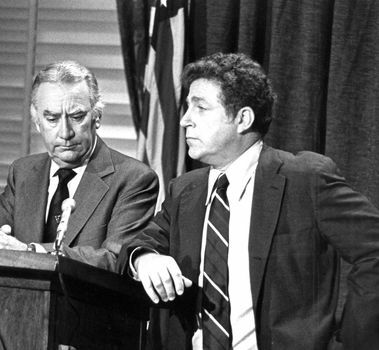 Though most of his memoir focuses on New York, a string of events led Ravitch to the 1964 Democratic Convention, where he wound up in Senator Gene McCarthy’s camp. Ravitch asserts that McCarthy’s motivation for challenging LBJ in the 1968 Democratic Primary, a watershed moment in politics, was driven by bitterness over the way LBJ chose Humphrey over him for Vice-President in 1964, something I don’t recall reading in previous LBJ reading (though I’m sure Caro will discuss it at length in his next installment). “[T]he thought crossed my mind that Denny Mahon of Tammany Hall wasn’t the only politician for whom great political decisions were inextricably bound with calculations of person advantage and memories of personal slights.” Indeed. Politicians rarely admit mistakes – George W. Bush famously couldn’t think of one when asked to reflect on his first term, and Barack Obama usually relies on the old “we didn’t do a good job explaining it” cop-out. But Ravitch admits that the Javits Center, sad auto show host and bar exam torture chamber, probably should have been placed somewhere like Queens, where a new convention center could have been the impetus for new transit lines. Likewise, when Ravitch ran the MTA, he fought to have graffiti taggers prosecuted more vigorously, but after a judge took him on a tour of Rikers Island, Ravitch realized that jail “seemed designed to turn minor offenders into long-term criminals” and changed his mind. With Governor Carey. Courtesy of Richard Ravitch and So Much To Do. The early chapters of So Much To Do take us through Ravitch’s career as a housing developer, where he achieves great respect in the political community for pulling off complicated projects that expand affordable housing and make money. He and Governor Hugh Carey did not know each other prior to Carey’s election, but Ravitch was clearly on his radar and Carey quickly pulled him into the braintrust that shepherded the state through a series of financial calamities. It pleased me that in response to the bankruptcy of a public authority, Ravitch successfully urged Carey to appoint a Moreland Act commission to investigate. (After what Gov. 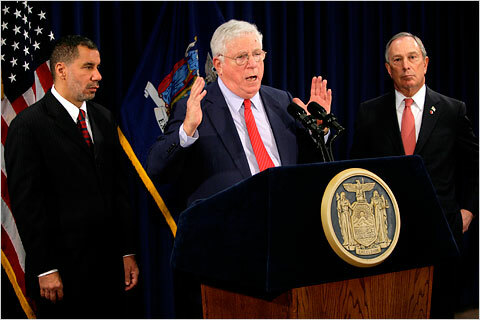 Cuomo did to the Moreland Commission last year, former commissioner Richard Briffault has predicted that we may never see this useful executive tool used again.) Ravitch and Carey’s most famous collaboration was rescuing New York City. Many causes have been suggested for the City’s fiscal tailspin: Suburbanization, the escalating contracts of municipal unions, the City’s absence of basic accounting standards, the cost of Mayor Wagner and Mayor Lindsay’s programs, the evaporation of the municipal bond market during bank consolidation, and the list goes on. Ravitch highlights a 1965 state law that allowed the City to borrow up to the revenue it expected to generate the following year, rather than the revenue it collected the preceding year. One can imagine the gimmickry this inspired. To this day we have a city and state budget process that too often relies on such smoke and mirrors. Given the enormity of the mess the City found itself in, the story of how it was saved is actually a pretty uplifting tale of everyone, including politicians, bankers, and union leaders reluctantly sacrificing their interests for the greater good. This is perhaps the most riveting chapter in So Much To Do. Hours, if not minutes, stand between New York City defaulting on its obligations and triggering havoc on the state and federal markets. Figures like Governor Carey, Felix Rohatyn, and Albert Shanker come off impressively, while Mayor Abe Beame appears as hapless here as in most historical accounts. Perhaps the most dramatic scene of the whole fiscal crisis goes down in Ravitch’s living room. Photo courtesy of Daily Beast. In one of Ravitch’s favorite, recurring lines in the memoir, he notes that “all the participants in the process did what only days before they had sworn they would never do.” In Politics 101, Ravitch-style, ideological positions are like poker hands that can fold under pressure. The pressure can be applied to advance a common good through compromise, or simply to force a fear-based capitulation, like U.S. Senate Democrats voting for the war in Iraq or New York Republicans allowing the SAFE Act to pass. If that was the political takeaway from the New York City financial crisis, Ravitch thought the policy takeaway was that the government learned its lesson about the dangers of accounting gimmicks, a presumption that would prove wrong repeatedly over the next 35 years and 140 pages of this memoir. Likewise, his revelation that political leaders don’t hold meaningful ideological positions has played out repeatedly in New York pols’ lust for power. Sometimes non-ideological people do what is “best for the people,” but more often than not they do what is best for themselves and cross their fingers that it works out for the people too. 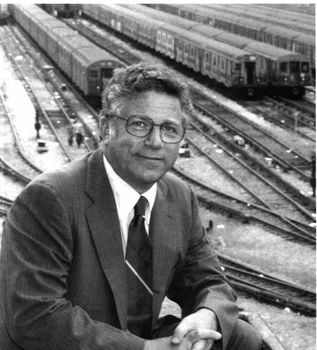 As the book review title suggests, Ravitch spends much of his life shuttling between the public sector, where he develops a reputation as a crisis manager, and the private sector, where he finds conventional, material success. It’s an almost Jeffersonian vision of public service, and the epitome of that service was Ravitch’s four years running the MTA. When the post was offered to him, Ravitch thought it was nuts. MTA days. Courtesy of Richard Ravitch and So Much To Do. 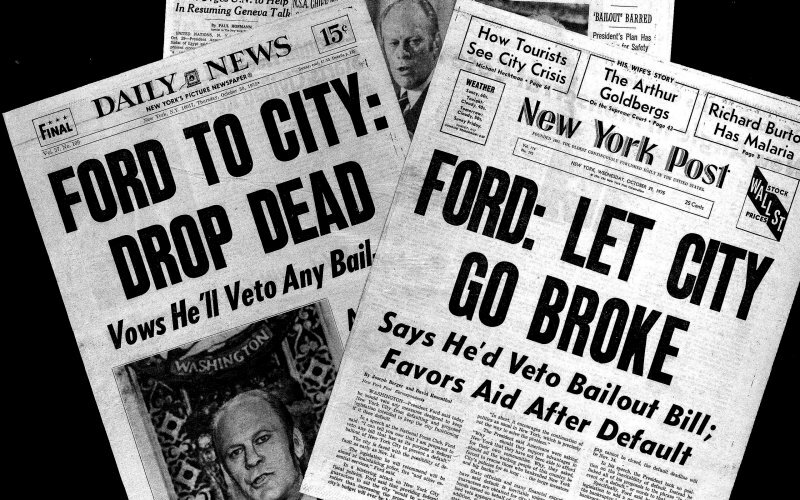 The MTA was created in part so that New York City mayors wouldn’t be crucified for raising fares, in part so that the new public authority could raise bonds without affecting the state budget, and in part to strip Robert Moses of his power. (Interestingly, Moses goes unmentioned in So Much To Do, despite obvious similarities and key differences between the master builders.) The MTA is a massive, complex system, the artery that holds New York City together, but back in the late 1970s, it was falling apart. The MTA operates more cars than the rest of the U.S’s transit systems combined. Before the NYC Transit police were merged with the NYPD, it was the sixth largest police force in the country. But in the late 1970s ridership was way down, which reduced revenue for services, which lowered ridership further, which led to debts borrowed that couldn’t be repaid. This vicious cycle was exacerbated by the City’s unwillingness to raise the fare, the State’s unwillingness to direct more tax revenues to the MTA, and unions’ demands for higher wages. Over the course of four years (1979-1983), Ravitch cajoled everyone into a grand compromise that bizarrely doesn’t seem like it would have worked without repeated help from the Reagan administration. (In addition to the administration’s open door policy for a liberal New York subway guy, Team Ronald also dedicated a full cent of the gas tax to mass transit, which Ravitch called “the largest public transportation subsidy ever from Uncle Sam.”) By this point in the memoir we are pretty deep into name-dropping territory, and most students of American politics will recognize the steady stream of Congressmen who helped or got out of the way as the MTA applied for tax breaks, bought subway cars from Canada to save money, and added Metro-North to its portfolio. In one delightful anecdote during his MTA tenure, Ravitch rejected repeated overtures from Mayor Koch to put “actual wolves” in the subway yards to protect cars from graffiti vandalizing. “I told him someone could get hurt, not to mention the cost of the wolves.” After a different dispute, Ravitch squashes the beef with Koch by sending him a box that played “thunderous applause” when opened. “I wrote on the box, ‘What to listen to when you get into bed at night.’ Far from being offended, he used to play the box for the people who came to dinner at Gracie Mansion.” By the end of his exhausting tenure running the MTA, which featured an assassination conspiracy against him, Ravitch had started to turn things around. In 2014, there were several days where more than 5 million people used the MTA, a new record. During an interview this fall, Zephyr Teachout remarked that it’s a “dirty little secret” that being a candidate is a lot of fun, even in loss, suggesting that electeds make politics sound worse than it is to discourage participation. To me being a candidate has always seemed fun – in addition to the attention, you get to hypothesize out loud about changes you’d make to the world. In a world where peoples’ time and resources are limited, pure vanity runs for office shouldn’t be encouraged, but I am a firm believer that anyone with good ideas should put themselves out there at least once. Ravitch wrote pretty exhaustively about the issues he cares about, but there are tantalizing nuggets that go unexplored. One example is his early comment about Rikers Island; prisons never come up again in the lengthy discussions of the state budget crisis. New York continues to spend billions of dollars on its corrections system, even as the number of prisoners steadily declines. If that agency isn’t a source of future saved dollars I don’t know which is. Similarly, Ravitch reflects from his time serving on a City commission that “something had to be done about the excessive influence of campaign money on city politics.” This was before the City passed its public financing reforms; those reforms are still absent at the state and federal levels. But we get no further discussion from Ravitch about money in politics. Campaign filings suggest that Ravitch doesn’t really throw his own money around. His proximity to the real estate crowd, which controls so much of New York politics with its millions of lobbying and campaign dollars, renders this omission unfortunate. After all, this is the same guy who writes this early in his memoir: “People may think they have acute insights into politics and public issues, but they don’t really understand what shapes civic life unless they know how land is allocated and the homes and commercial structures on them are built and financed.” Ravitch is a legendary builder, and his lengthy explanations of building projects demonstrates his passion, but it’s pretty one-percenter to suggest that you don’t really get civic life til you finance a major development. Maybe it is hard for Ravitch to reconcile his reverence for developers and concern about money in politics. Ravitch also takes on “good government” advocates, the very people opposing the influence of money in politics. Ravitch claims that their “hunt for corruption has, perversely, made government less rather than more effective in the ways that advocates of good government would like,” because it makes politicians overly cautious. Ravitch likewise blames the media for gravitating “toward stories of corruption.” He argues that the system works better if the grown-ups can get things done behind closed doors. Because he has been behind more closed doors than most, he is entitled to that opinion, but he should recognize that it runs counter to his previous celebrations of the democratic process. In a bizarre bit of political analysis, Ravitch also argues that personalities affect policy more than party. This is clearly untrue, as party positions have calcified locally and federally. Claiming that party affiliation is overrated suggests that Ravitch’s thinking may be stuck in an era when liberal and moderate Republicans delivered transit funding. Those days are gone, baby, gone. In these later chapters, Ravitch shows he is a little out of step with how the field of politics is shifting. For example, he claims that politicians are more dependent on the press than they used to be, when precisely the opposite is true. Today, politicians can issue statements directly to their vast social media followings, forcing the press to respond to them. Ravitch also claims that fundraising, low prestige and salary are keeping talented young people out of the state legislature, which is not exactly right. Some talented young people avoid politics because low-level politicians, the points of entry of young people, are often total hacks. Other see government and politics as hopelessly inept and broken, and would rather devote their time to something else. As my entrepreneurial friend Jordan once told me, “If I was upset about a pothole problem, I’d look into ways of making better concrete, not run for City Council.” Finally, some think, that the system is rigged and pointless, which is why they might be PhDs or CEOs yet not even registered to vote. Ravitch also falls into the same trap as Ed Koch (“a liberal with sanity!”) by calling himself a liberal but then disdaining liberals who disagree with him, especially on housing issues, where he finds himself on the wrong side of the one percent. His frustration over why people didn’t appreciate his mixed housing initiatives is understandable, but also recalls the end of Caro’s Power Broker: “Why weren’t they grateful?” In modern politics, liberalism has been defined by challenging power, which is probably why Koch, Ravitch and so many other powerful Democrats (think of President Obama’s tired lament about his “friends on the left”) complain about liberals after using that very identity to ascend in politics. The penultimate chapter discusses the depressing budget gimmicks that have led to New York State’s financial quagmire. Designed and maintained to circumvent balanced budget requirements, public authorities owe billions of dollars in debt. In an example of how carelessly state leaders govern, New York blew its entire tobacco lawsuit settlement in a single year. Meanwhile, we can’t afford to cut back on too many financial obligations, given the preponderance of federal, state and local mandates, leaving us like with the effects of a hangover: utterly dehydrated, but needing to urinate. The wretchedness of this mess also keeps good people out of politics, because today and in the near future, politics will not be the art of improving peoples’ lives, but the art of causing them pain in the least harmful way possible as we soak more money for fewer and lesser services to cover the horrendous accounting practices of the baby boomer generation. In the final chapter, Ravitch goes national and finds that almost no one in the federal government is paying attention to the many states that are having similar problems to New York. He discovers that Congressional policymakers aren’t even measuring the impact of their proposals on state budgets. It makes you want to hide your head under the cover, which is literally how I read most of the last chapter. “At the age of twenty-seven, it is almost impossible to make an irreparably bad career mistake.” This one might have been more true in 1965 than today. My expectations for political memoirs are not high, especially those with generic titles like “So Much To Do.” (The sub-title, A Full Life of Business, Politics, and Confronting Fiscal Crises reveals little except for our shared appreciation for the Harvard comma.) My political association with “so much to do” is the dying words of the assassinated Louisiana legend, Huey Long, “God, don’t let me die. I have so much to do.” While there is at first blush little connection between Ravitch and the quasi-socialist, grandstanding Bayou dictator, they did share a love of infrastructure and getting things done. These days, people like that are hard to come by. If you are interested in how things got done in New York during the 1970s and 1980s, and why they aren’t getting done now, this book is an important and entertaining read. And if you don’t read it, at least you’ve read a 3700-word review of it, for which at least I am grateful. So Much To Do is published by Public Affairs (2014).